With at least 28 island nations and numerous amounts of inhabited islands you can stay on, it can be a difficult choice to make. But you’ll be pleased to hear that we’ve done some of the leg work for you, searching for the most beautiful places you can travel to in the Caribbean for your next vacation. We’re not just picking locations based on their virality on Instagram, we want to provide an alternative view of these destinations, which may help to swing your decision to travel there in the future. One of the southernmost Caribbean islands, Grenada is 9 times smaller than the state of Rhode Island, and is also known as Spice Island due to the amount of spices grown there. 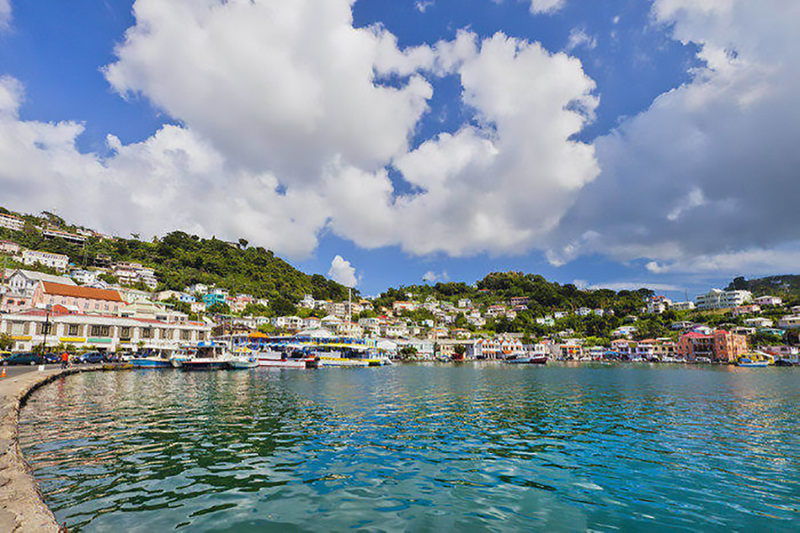 People who have visited claim that the island’s capital, St George’s, is the prettiest in the region due to its location next to a dormant volcano crater, thriving with flora and fauna, and on a horseshoe shaped harbour. Many of the island’s resorts and hotels are nestled in the South-West corner of the island, close to the Grand Anse Beach. But due to the size of the island, it’s easy to explore most of it whilst on your vacation – it may be small, but it’s definitely mighty! In terms of when is best to visit the island, September and October are deemed as the wet season, and also fall in hurricane season, although the last major hurricane to hit the island was category 3 Ivan in September 2004, followed by category 1 Emily in July 2005. The best weather can usually be seen throughout January to April, but traveling there in high-season means a higher price for rooms due to demand. As well as hikes through the rainforest, sailing around the protected bays in the south of the island and diving the wrecks and reefs, there’s also an underwater sculpture park in Moilinere Bay in the West of the island. The 75 sculptures installed in 2006 now act as a base for marine life following the devastation of the bay caused by Hurricane Ivan in 2004. As mentioned above, Grand Anse Beach is 2 miles of white sand and calm conditions which is helped by shelter from the hills around the bay. If you’re looking to experience a bit more of the nature on the island, Levera beach shouldn’t be missed. Take a look at the many leatherback turtle nests if you travel during hatching season, and there are many different species of bird which are native to Grenada for you to spot. 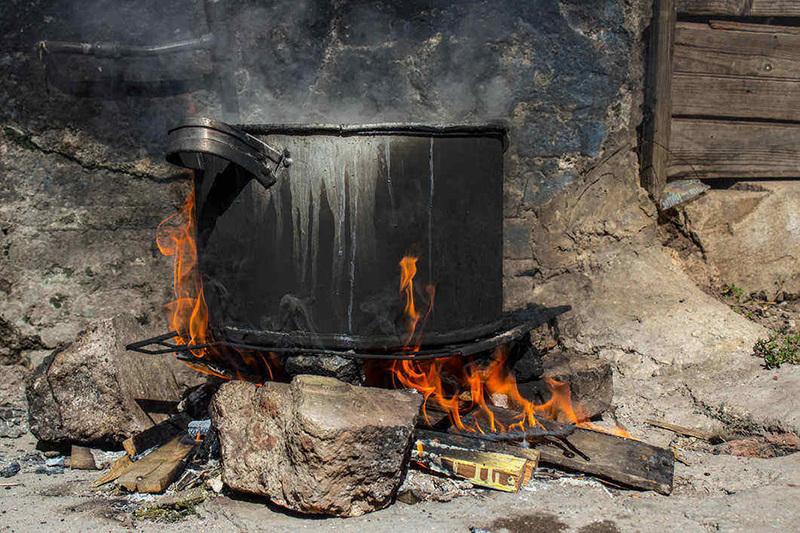 Don’t forget to sample one of the national dishes of the island, Oil Down. It’s not as strange as it sounds; it’s a stew made with coconut milk, and meat or fish, accompanied with other vegetables and roots – tasty! And awaiting you on your way home is the GAA Executive Lounge at St Georges Maurice Bishop International Airport. Open from 6am until 10:30pm every day, the lounge is decorated with vintage Caribbean décor and provides a comfortable escape from the departure hall. 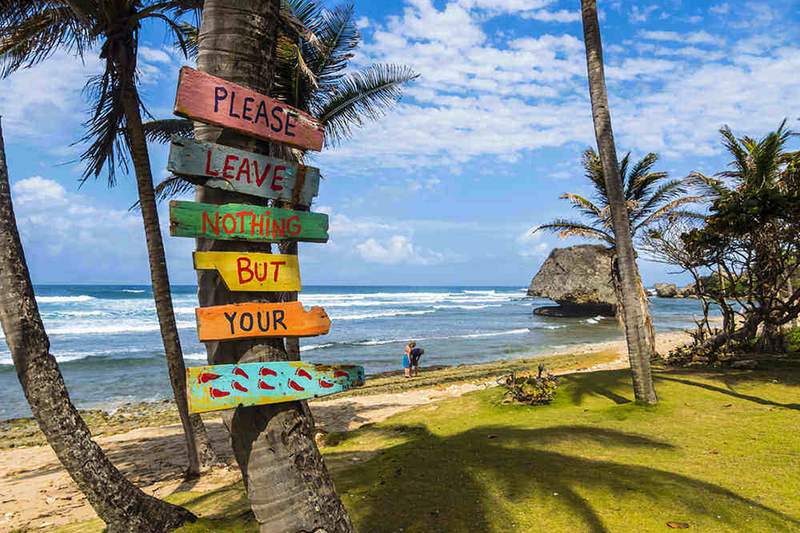 The small island of Barbados is the most Easterly Caribbean Island, but is also far enough South to profit from excellent weather conditions nearly all year round! The island is relatively flat compared to others on the West, with the highest point being Mount Hillaby 340m (1,120ft) above sea level. June to November is considered the wet season, which means if you want to miss the odd shower of rain here and there, then you should avoid these times. If a little bit of rain doesn’t make a fuss with you, then it’s often cheaper to travel during the rainy season, but it does put you at a higher risk of encountering a hurricane. December to May is the dry season, which is common with many of the Caribbean islands. Where to stay on the island entirely depends on what you’re looking for in your vacation. For more upmarket and lavish hotels, head to the West coast, the South coast is heavily developed, with resorts sitting on top of each other, but many offer access to each other during the day. The East coast is full of tranquil and unspoilt coastline, which means that there isn’t many places to stay, but it’s well worth the day trip. Finally, inland you can find the plantations and botanical gardens if you like to learn a little bit of the history of the island and a UNESCO World Heritage site. Surfers congregate around Bathsheba Bay, which is a “soup bowl” due to the shallow waters causing the waves to break further out. The bay itself is surrounded by eroded rock formations from the former coral reefs which surrounded the bay many years before. 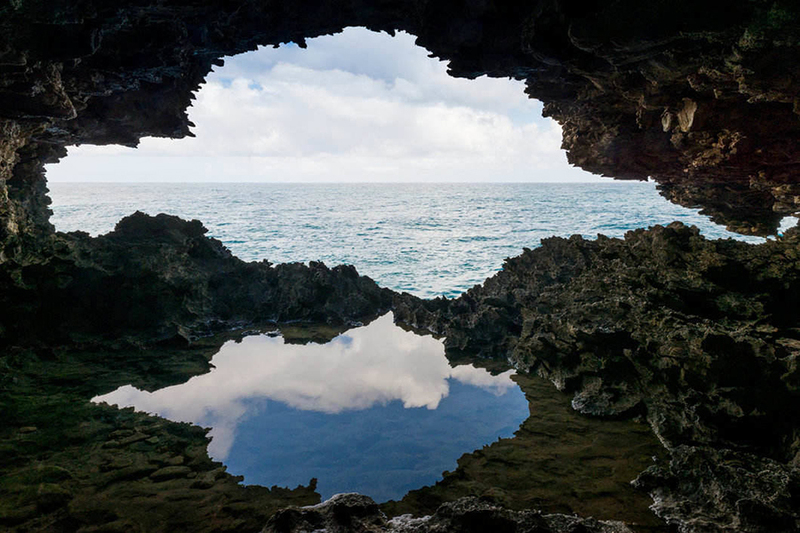 The Animal Flower Cave is found at the Northern tip of Barbados, which gives you dramatic views whilst standing above the cave, but a window-like view to the sea when inside. If you want to spend a while there, there are restaurants and vendors on site which provide you with refreshments. If you like to sample local food and nightlife, and are lucky enough to be on the island on a Friday, head down to Oistins Friday Fish Fry where the fishing village turns in to a street food party. It’s the busiest night of the week, so be sure to allow enough time to get there for the 6pm start to give yourself a good chance of getting a seat at a table at one of the outlets. On your return at Grantley Adams International Airport, the Airlines Executive lounge is available for Priority Pass Members. Some of the amenities available at the lounge include air conditioning, internet access, alcohol and other refreshments, as well as a children’s room. Antigua and Barbuda is an independent Commonwealth country which consists of the two main islands, and a few other smaller ones. The highest point across the two islands is Mount Obama, which was renamed from Boggy Peak to commemorate former US President Barack Obama’s 48th birthday. 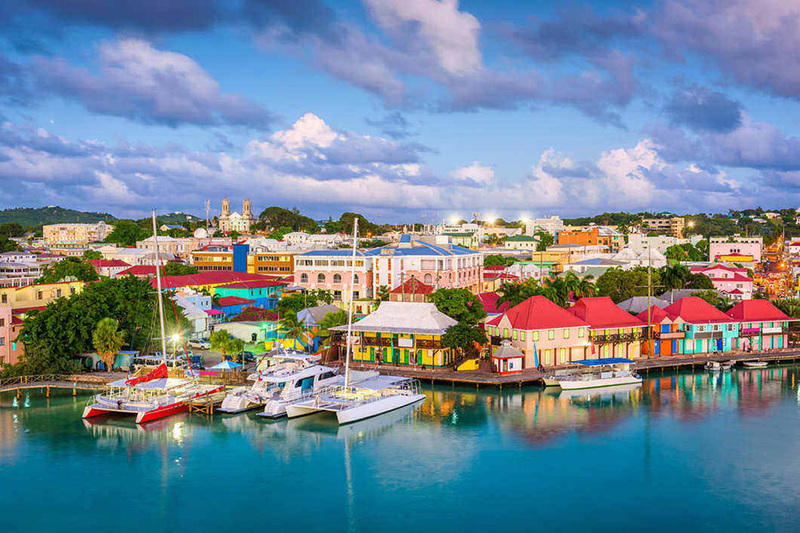 The capital St. John’s is also the largest port in Antigua where many Caribbean cruises dock when visiting the island. When visiting the islands, the best weather is generally seen between December and April, with July and August being a lot hotter, but not usually unbearable during the day. It’s also known as the “land of 365 beaches” due to the high number of sandy bays, so you will be able to find somewhere different to relax every day of the year. There are many different activities which you can dip your toes in to whilst on vacation. Diving, swimming, fishing and sailing are popular activities, as well as visiting the well-known Stingray City, a unique experience where you can get up close with the rays. For silky smooth sand, book an excursion to the 17 Mile Beach on Barbuda. The area is so vast, you’ll find somewhere private for you to relax and enjoy your surroundings. The sands have a pink-tinge to them which makes this beach that extra bit special, especially if you’re visiting for a romantic break. You can take a water taxi, fly or book a helicopter tour which will take you from Antigua over to Barbuda – but make sure you pack provisions. Sun screen should be applied liberally as there is little to no shade, and bring water in an insulated cool-bag as there aren’t many places to purchase any. 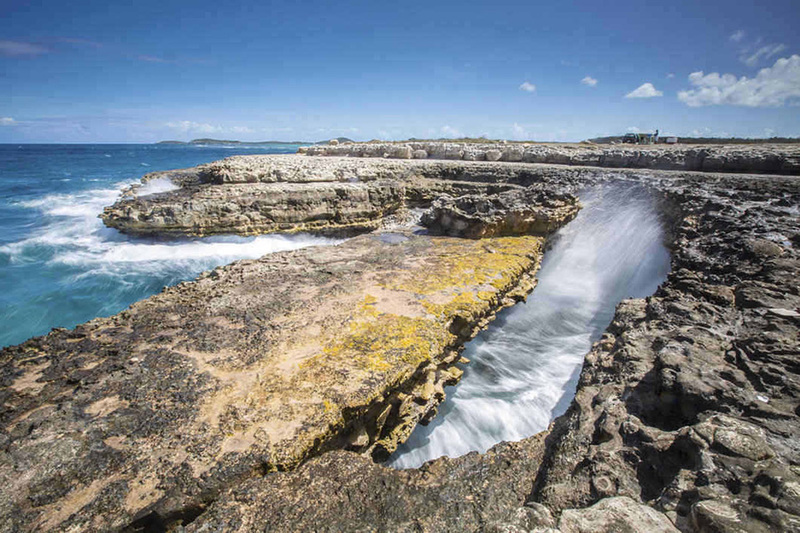 Another different option to lying in the sun would be to visit the Devil’s Bridge National Park, which is located on the east side of Antigua, just outside Willikies. It’s a unique natural site, where the rugged sea-battered rocks show signs of erosion, but create an amazing site. Devil’s Bridge is one of the most pictured sites of the national park, where the waves crash against the limestone rock and force water geysers through the blowholes – a sight to be seen! And for those who like to experience life from above, the rainforest zip-wire park shouldn’t be missed. Traverse around the canopy, flying down 13 zip-lines (depending on which tour you book) with your specially trained “power ranger” tour guide. The Executive Lounge at St George’s V.C. Bird Airport awaits you as you travel home. It’s open from 11am until 10:30pm daily (closed on 25th December), the lounge features a spacious seating area, as well as an outside terrace with canopy’s for shade. Massage chairs are also available at an additional cost. The home of reggae, “Jamrock” is found on the west of the Caribbean islands, directly underneath Cuba and has three international airports you can choose to fly in to – Kingston (KIN), Montego Bay (MBJ) or Ocho Rios/Boscobel (OCJ). 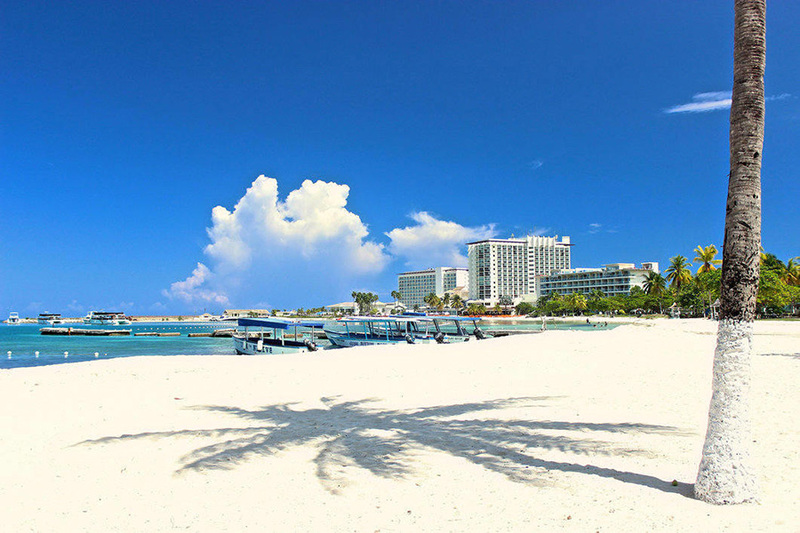 Jamaica is the third largest island in the Caribbean, but only has two cities, Kingston (capital) and Montego Bay. It’s best to avoid Jamaica during the hurricane season as it lies in the hurricane belt of the Atlantic Ocean, and often takes a big hit. The best time to visit in this case is December to April, but January to March are peak times, and the prices will reflect this. If you like to chase amazing sunsets, make sure you visit the west side of the island. Montego Bay and Negril provide some of the most amazing scenes as the sun goes down in the evening, making the sky really look like it’s on fire – and an excellent photo opportunity. Ocho Rios is the perfect place to visit for the stunning waterfalls and tropical foliage – Mystic Mountain is a rainforest adventure park which includes bobsled rides (Cool Running’s style! ), hikes to Dunn’s River Falls, a sky lift and a zip-line tour. It’s fun for the whole family, so if you’re in the area you need to check it out. Negril has more of a native flare, and is home to the famous seven mile beach, which has activities and hotels in abundance across the stretch of sand on the West of the island. 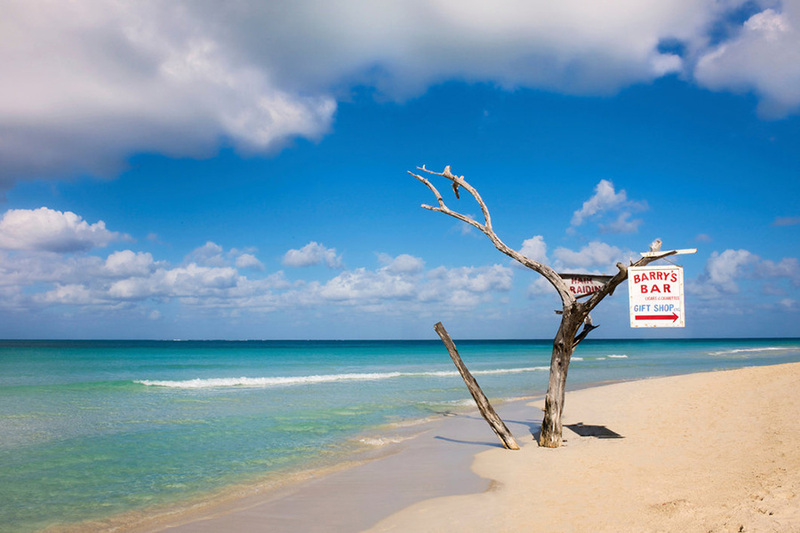 This beach is considered one of the prettiest in Jamaica, and is backed-up by some stunning 5-star beachfront hotels. If you’re flying in and out of Kingston, the Norman Manley International Airport has two lounges – one in departures and one in arrivals. Club Kingston is a well decorated and spacious lounge, which is open from 04:00 – 21:00 daily. Spa services are available inside the lounge, which are subject to payment, and conference facilities are also provided. However, if your chosen airport is Montego Bay, 4 lounges are available – Club Mobay (x2) and Club Mobay Arrivals (x2), giving Priority Pass Members plenty of choice. Part of the island of Hispaniola which it shares with Haiti, the Dominican Republic is the second largest island in the region, and the most visited destination in the Caribbean. It has many leading golf courses in the tropics, which is a lure to the island for many players. But the golf isn’t the only reason people visit, there are many resorts which have benefitted from strong economic growth and now provide some of the most extravagant hotels in the region. The climate on the island is described as tropical due to the coastal and lowland areas. January and February are the coolest months on the island, and August is the warmest. Wet season on the north coast is usually November to January, whereas the rest of the island will be May to November. So make sure you plan your trip accordingly. One of the largest marine parks in the Caribbean can be found in the Dominican Republic, and is a great way to encounter the marine life. A visit to the Eastern National Park will mean traveling to the South-East of the island, so perfect if you are staying in, or near to Punta Cana. There’s a small entry fee as it’s a protected site, but within the park you’ll encounter some of the 539 species of flowers, 144 types of birds and a lot of sea life. To see some history of the island, visit the historic neighbourhood of Santo Domingo, which is the oldest European settlement of the New World and is a UNESCO World Heritage site. The restored buildings and cobbled streets give the area a unique vibe, and make sure you visit the local coffee houses and cafes for an authentic taste of the island – you might even find an interesting trinket to bring home from one of the street vendors. 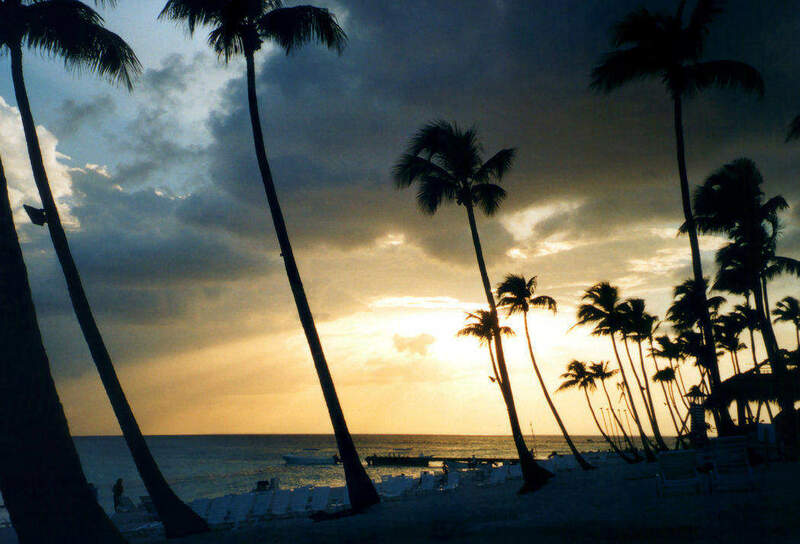 Again, if you like to chase a sunset, Bayahibe Beach is a great place to visit. Head there for the late afternoon to make the most of the sun, then head to the beach bar to grab a spot to have an unrivalled view of the setting sun. The town of Bayahibe is a few minutes’ walk down the road once the sun has gone down, where you will be able to find a restaurant to have some dinner. 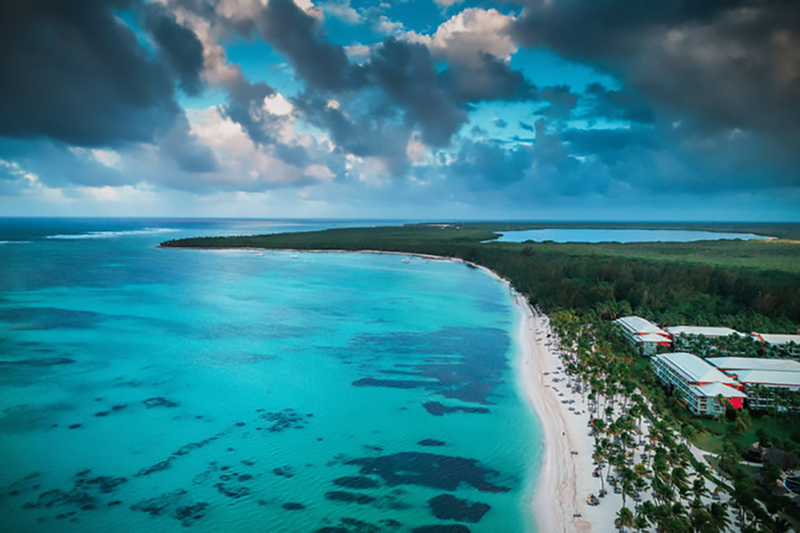 Priority Pass has airport lounge access in 6 airports across the Dominican Republic – so even if you aren’t flying internationally and may be island hopping instead, there’s a good chance a lounge will be available to you. The airports in which Priority Pass has lounge access on the island are La Romana Casa De Campo Intl, Puerto Plata G.L Intl, Punta Cana International, Samana El Catey International, Santiago Cibao Intl and Santo Domingo Las Americas Intl. Although Punta Cana is the main airport for the island, we have 2 lounges available there, VIP Lounge Punta Cana (Terminal A) and VIP Lounge (Terminal B). The latter gives you access to an outdoor swimming pool if you wanted to cool off before your flight home.